EDGEWATER — From firemen to filmmakers. A vacant city-owned firehouse at 5714 N. Ridge Ave., a Chicago Landmark built in 1928 and trimmed in terra cotta, would be sold to Andersonville nonprofit Chicago Filmmakers under a new plan announced by the city. 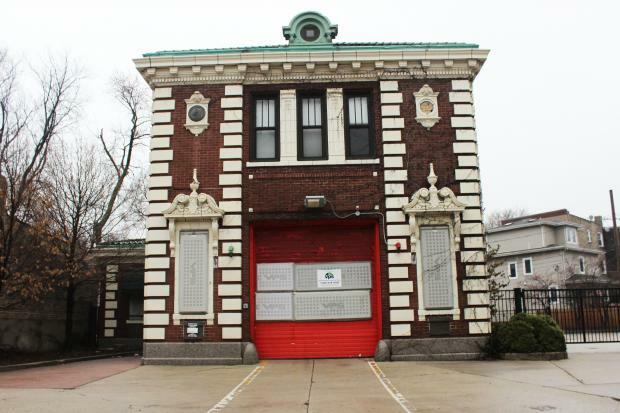 If approved by the Chicago Plan Commission and City Council, the city would sell the firehouse for $36,000, just 10 percent of its market value, said Chris Chang, a representative of the Department of Housing and Economic Development. But the Chicago Filmmakers, which offers independent movie screenings, hosts film festivals and teaches film classes, would spend $600,000 renovating the deteriorating the old firehouse that hasn't had occupants since firefighters moved out in 2008. "This is a dream for us. We are so thrilled and honored that we were chosen," said Brenda Webb, the executive director of Chicago Filmmakers, at a meeting with community members living near the firehouse Wednesday night. She said once the firehouse is renovated the organization would use the building to offer weekly screenings of independent films and documentaries, "the kind of films you would not see at your local megaplex." Webb said neighbors can also expect partnerships with nearby schools, two movie festivals and other "experimental, underground and offbeat" programming. "We want the firehouse to be seen as a community resource," she said. If all goes as planned, the city's sale of the property should be approved by the spring and the construction would begin immediately, Webb said. The Chicago Filmmakers expect the renovation to take "eight months to a year after acquisition," she said. Neighbors have been waiting for years for a new tenant at the firehouse, which has been empty and open to the elements. The search began 10 years ago, and it wasn't until May that the city issued a request for proposals from groups interested in acquiring vacant firehouses across the city. An open house earlier in the summer at the firehouse attracted representatives of a brew pub, theater groups and a nursery school. Sue Morales, the president of the area block club, said the Chicago Filmmakers' plan would fit the neighborhood well. "It's going to be an asset to the community, not a hindrance," she said. The basement and first and second floor of the firehouse would be entirely renovated if the sale is approved, said James Gorski, the Chicago Filmmakers' architect. Gorski said the basement would be used mostly for storage. 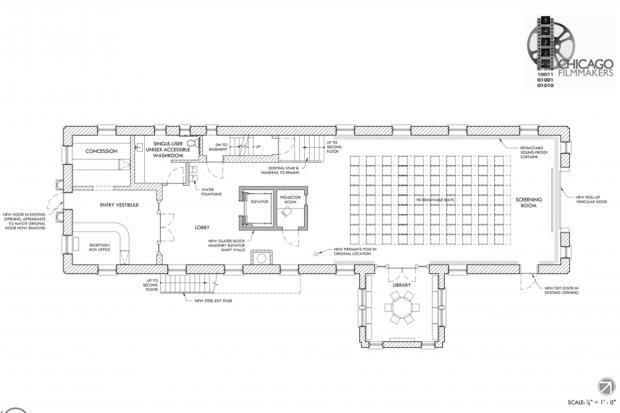 The first floor's truck bay would be converted into a screening room with as many as 99 seats. The second floor would be used for classrooms. An elevator would also be added to the building, he said. The main entrance to the building would be located off of the alley. A concession stand and a bathroom would be built just inside. The existing parking lot on the property includes 15 spaces. Ald. Harry Osterman (48th) said Chicago Filmmakers was one of two finalists and was chosen over a for-profit arts organization, which he and the city declined to identify. "This is a very exciting endeavor we’re all embarking on," Osterman said. Webb, the organization's director, said Chicago Filmmakers was founded 1973 and has spent the past 17 years leasing the second floor of 5243 N. Clark St.
She said she's had her eye on the firehouse for years. When she first took a look at the firehouse, its basement was discouragingly filled with water. But then, when the city issued its request for proposals this year, the basement had dried up. "The water had parted, and I could see the land of promise," she said lightheartedly. "What seemed to be a crazy dream actually became a reality."